Fortaleza - Atletico GO predictions, betting tips and preview 14 Jul 2018 – The Dragons will steal one point from the hosts! Fortaleza - Atletico GO predictions for Brazil Serie B match at Estadio Alcides Santos, Fortaleza. It will be a close game, and the rivals could not reveal the winner! Read on for live streaming info and our free predictions. Do you want to watch live streaming of Fortaleza - Atletico GO bet live? Go to Unibet Live Streaming and place winning bets! Fortaleza are still holding a lead, but with each round, to keep the first place is becoming increasingly difficult. The hosts have become a real sensation this season, it is unlikely that anyone expected such results from the club, which played a year ago in the third division. Nevertheless, the Lions remain the best defensive side of the league as they conceded only 10 goals so far, while no one will accuse this team of parking the bus, after all, with 22 goals, Fortaleza have the second offensive record, only Awai have scored more. The Lions demonstrated an amazing football at the beginning of the season, producing a 9-games unbeatable streak with 7 wins! However, if we look at the team’s results, then we can note an important point – 6 of their 9 wins were over outsiders. Despite such a successful performance, few doubted that this team will not be able to hold leading positions for long, and its triumph will come to the end soon. That is how it happened. 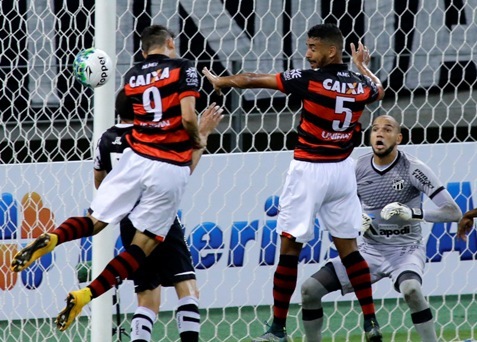 In June, the Lions clashed with such strong clubs as Ponte Preta, Villa Nova and Sao Bento and the results were sad… In the last six rounds, Fortaleza managed to beat only two rivals, and both are at the bottom of the standings now. It seems that the hosts lost their form and strike a bad patch, which means, the guests will have a chances today. Atletico GO can be called one of the strongest teams of the division, and despite their unsuccessful start, it was obvious that sooner or later they will still show quality football and fight for the promotion. The Dragons have the best offensive record in the league and today, the forwards will be able to prove that they worth their salt once again. In the last six rounds, Atletico scored 12 goals, so the Serie B best defence will be a challenge for them, because Fortaleza conceded only 4 goals at home so far. The Dragons come to this game with three convincing wins in a row, and are good enough on the road, having managed to take 8 points in the last four outings. The guests gained momentum and will be able to hold a draw, 1-1.